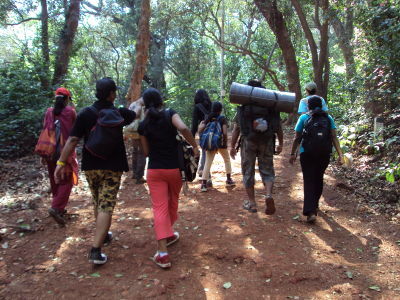 Matheran is the ultimate destination for the Trekkers, naturalist and outdoor enthusiast. It is literally a forest on top of the hill. The dense forest cover, teeming bird life, long walks and flora and fauna make this an all-time favorite. The best part is that it’s pollution-free as no vehicles are allowed in the hill station. 1) Travelling by S.T.from Panvel to Dhodhani village. 5) All meals on 1st Day & Breakfast on 2nd Day. 6) Travelling from Matheran -Dasturi Naka to Neral station. 1) Lunch on 2nd Day. 2) All things other than the package. Panvel to Dhodhani village travelling by S.T. Veg.Lunch & Rest at Resort. After breakfast leave Hotel for 900 feet Valley Crossing. After lunch return journey starts. Travelling from Dasturi Naka to Neral by private vehicle. *Note:-Rates are subject to change.